Silivius Leopold Weiss (12 October 1687 – 16 October 1750) was born in the village of Grottkau near Breslau, the largest city on the Oder river and a node on the important trading roads of central Europe at the time. The son of the prominant lutenist Johann Jacob Weiss (1662-1754), who served in the courts of Breslau, Rome, and Dresden. Weiss was one of the most important and most prolific composers of lute music in history and one of the best-known and most technically accomplished lutenists of his day. At age 20 years Silvius Leopold Weiss made his professional debut as a lutenist in the Breslau court, in which his family served. He soon found employment in the Dusseldorf court, in the service of an intelligent patron of music Elector Johann Wilhelm, the dedicatee of the Italian composer Arcangelo Corelli's Op.6 . He served in Dusseldorf for two years and his earliest known compositions are from this period. For six years after his Dusseldorf employment Weiss resided in Rome where he was engaged by the former Polish Queen, Maria Casimira (Domenico Scarlatti was also in her employment) as a musician in the service of her son Prince Alexander Sobieski. 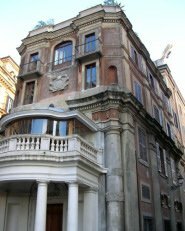 In the Italian capital he resided in the Zuccari palazzo and toured to various courts with the Prince, learning from his exposure to new Italian styles of music whilst travelling. Several years of touring Europe followed the end of this position upon the death of the Prince, with only brief fixed employments. In Prague he met the prominent Bohemian lutenist Count Johann Anton Losy, for whom, upon his death he wrote a memorial Tombeau. 1714 saw Weiss briefly serving in the Hesse court in Kassel, and three years later at age 32 he first played in Dresden. He accepted a lucrative post serving the Saxon elector and Polish King August the Strong in his famous orchestra, the city aws to be his home for his reamaining years. The Vienna court, stiff Catholic opponents of the Protestant Saxony (Martin Luther began the Protestant movement in Saxony), attempted to dislodge Weiss from this patronage, including an attempt to lure him, presumably to Austria, with princely sums of money. Download Silvius Leopold Weiss MP3's from Classicsonline - buy individual tracks for as little $0.99 or complete albums at the best prices! Silvius Leopold Weiss' had legendary skills on the lute, as accompanist and otherwise. He was even favourably compared to the great harpsichordist and organist (and part-time lutenist) Joann Sebastian Bach, as the following account by Johann Friedrich Reichardt describes: "Anyone who knows how difficult it is to play harmonic modulations and good counterpoint on the lute will be surprised and full of disbelief to hear from eyewitnesses that Weiss, the great lutenist, challenged J. S. Bach, the great harpsichordist and organist, at playing fantasies and fugues." 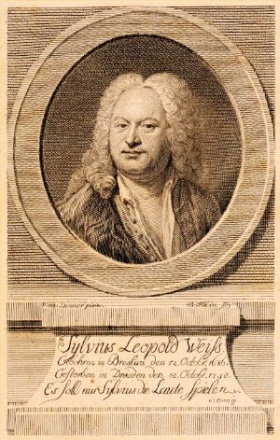 In 1739 Weiss stayed in Leipzig for 4 weeks. He was friendly with J.S. Bach's son Wilhelm Friedemann Bach and visited the J.S. Bach house frequently. J.S. Bach's personal secretary, Johann Elias Bach, presumably a nephew of the great composer wrote "we heard some very fine music when my cousin from Dresden (W. F. Bach) came to stay for four weeks, together with the famous lute-player Mr. Weiss.". J.S. Bach's Suite for violin and harpsichord in A major BWV 1025, recently identified as an arrangement of one of Weiss' lute sonatas, may owe its origin to one of these legendary meetings. At age 66 years, in 1750, Silvius Leopold Weiss died having been renowned as the greatest lutenist ever to have lived. 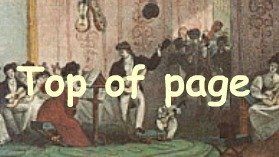 Soon after his death the lute fell out of favour, and the six-string guitar filled the gap into the second-half of the 18th century. An evaluation by the Markgrafin Wilhelmine de Bayreuth, sister of Frederick II of Prussia and herself a composer, would serve well as epitaph, "(Weiss) excels so much in playing the Lute that no one has ever matched him, and those who will come after him will only be left with the glory of imitating him". His son Johann Adolph Faustinus Weiss succeeded as a Saxon court lutenist.